The first thing I picked out was this amazing Hawaii Dreams Phone Case*. I’ve been on the hunt for a leaf print phone case for the longest time and I finally have one, yay. Its a matte texture, so I feel like it won’t scratch too easily, bonus. Its very sturdy, and wraps around your phone nicely so if you were to drop it it’d give good protection. Overall I’m just in love with this case and I think its going to be sticking around on my phone for a long time. The second thing I picked up was this White Classic Marbel Macbook Skin*. Which blogger wouldn’t love this? 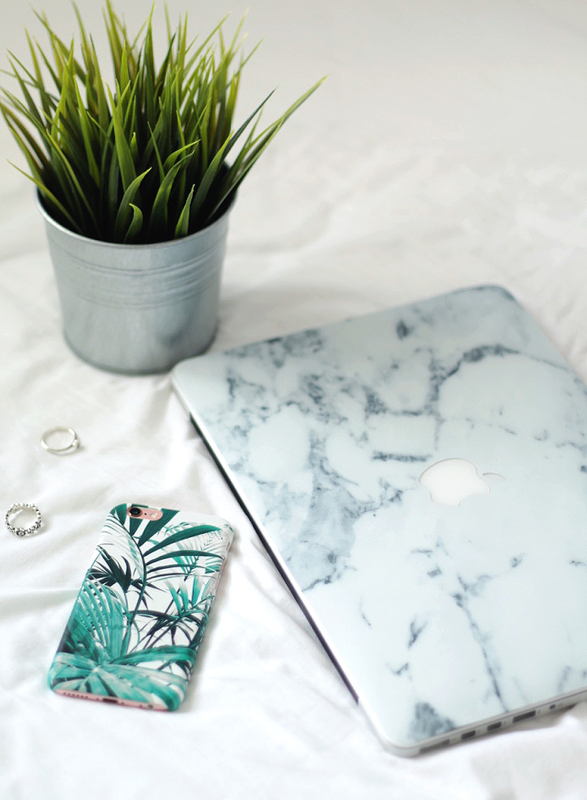 Marble has become a very popular trend and to have it on the back of my laptop is amazing haha. It looks so chic, and it went on really easily as well. This is also going to prevent your laptop from getting scratched or marked which is fab. I can’t stop looking at the back of my laptop, I’m obsessed with this! Although CaseApp do some amazing ready made designs like I picked out, you can also make custom cases/skins too. Which I think I’ll be doing in the near future, as it’ll be your own unique design! If you’d like to do this I have a 20% discount code for you, just enter ‘FOREVERSEPTEMBER20’ when purchasing and its valid until August 14th 2016.